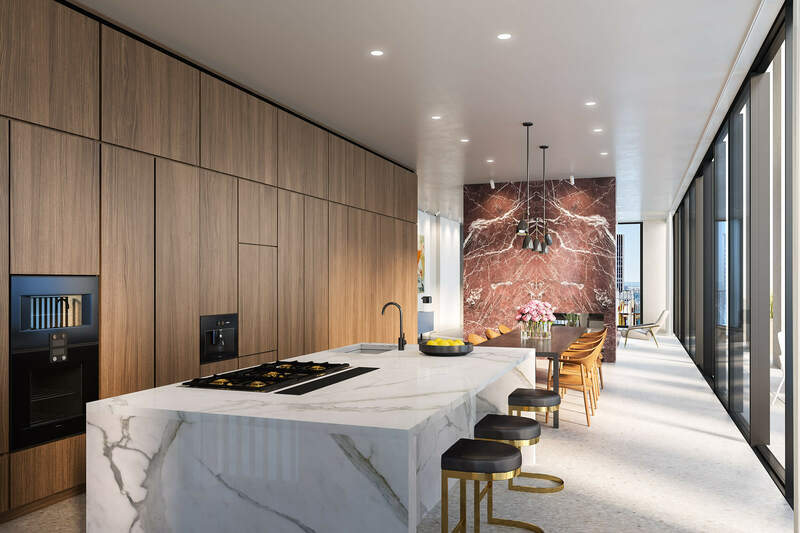 Starting on the 16th floor, The Bryant’s 57 residences, each with at least one corner exposure, rise to 34 stories, crowned with two triplex penthouses. A structural and interior design element that continues from exterior to interior, the stunning cast stone and aggregate façade transitions seamlessly into the carefully considered interiors, creating crisp architectural frames to the multiple floor-to-ceiling windows in each residence. 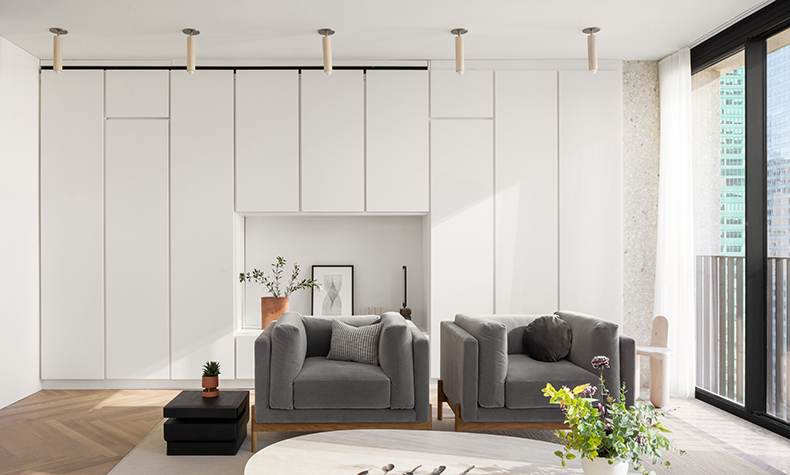 Custom white lacquer floor-to-ceiling millwork with ergonomic pulls in each room offers built-in storage and conceals mechanical equipment to allow for uninterrupted ceiling heights. 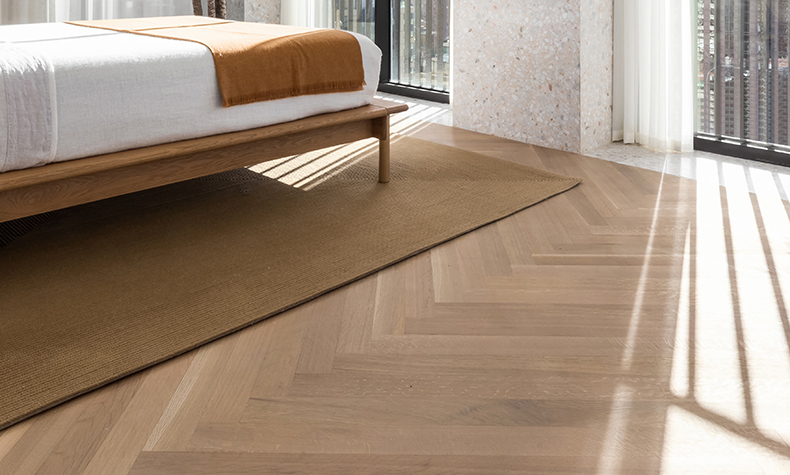 Quarter sawn 3” fumed oak floors in a herringbone pattern with radiant heat run throughout the residences with a honed terrazzo border. All residences in The Bryant boast uninterrupted 9’6” ceiling heights and corner living rooms which draw in incredible light. 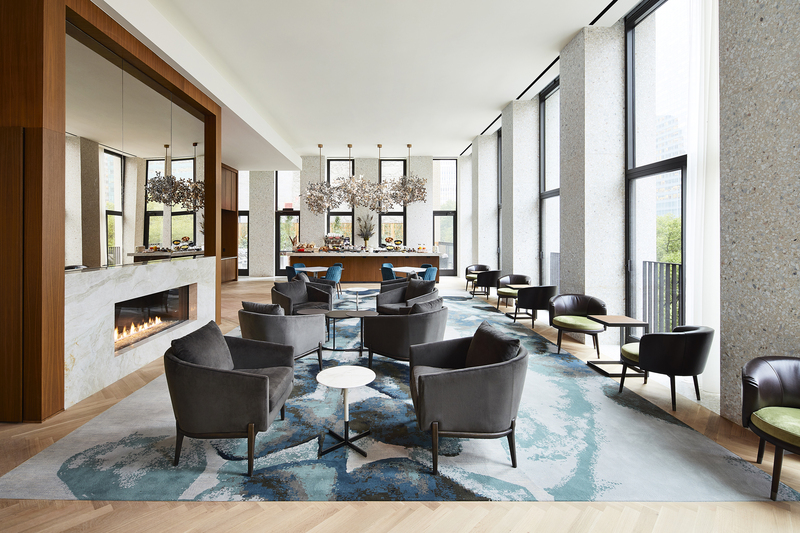 Slim profile floor-to-ceiling sliding windows with Juliet balconies are surrounded by the building’s signature terrazzo, framing dramatic city and park views. 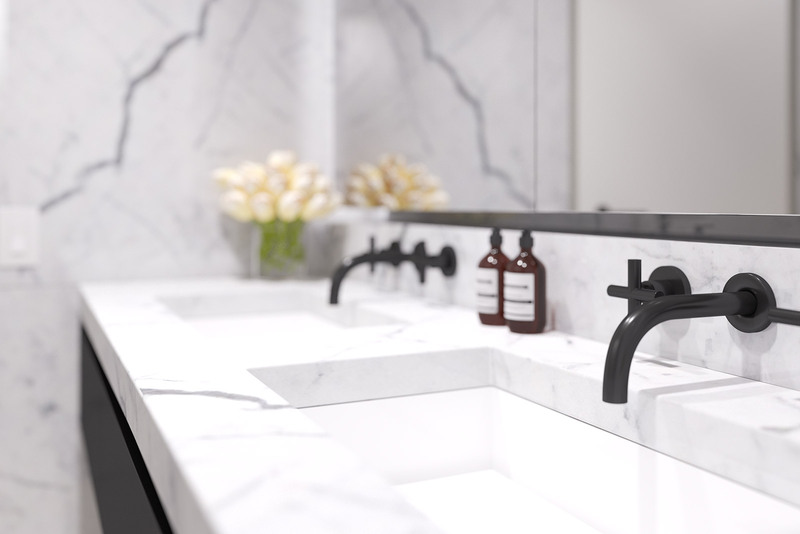 Custom designed cabinetry conceals integrated appliances creating a clean, modern aesthetic in concert with rich Calacatta Gold marble countertops and backsplashes. 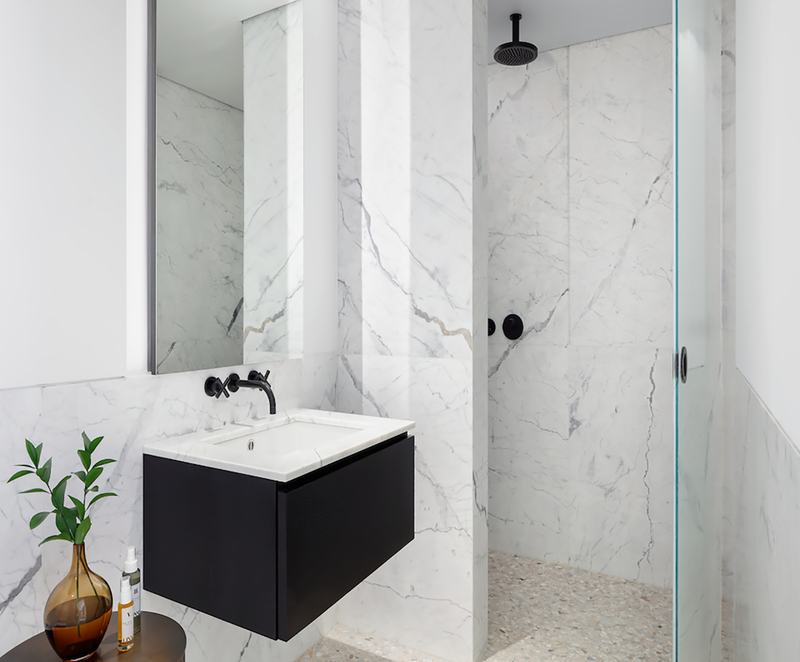 Terrazzo floors are perfectly complemented by Statuarietto marble slab walls in each bathroom at The Bryant. Custom designed vanity with handpicked Statuarietto marble slab top. 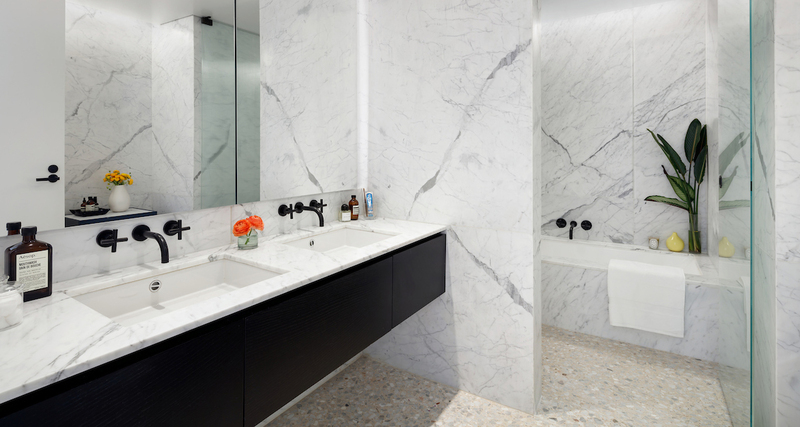 Terrazzo meets marble—an exercise in materiality. Two half-floor, triplex penthouses with custom finishes crown The Bryant. 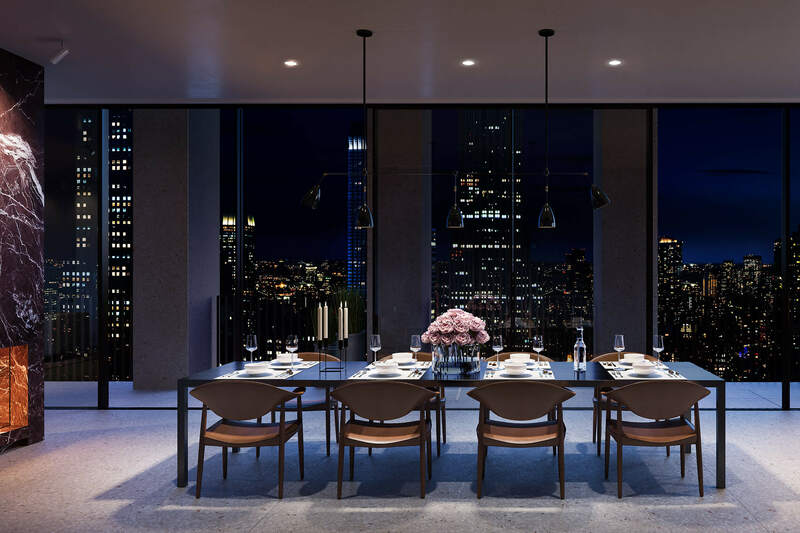 All residences at The Bryant offer open views toward Bryant Park to the north or the Empire State Building to the south. 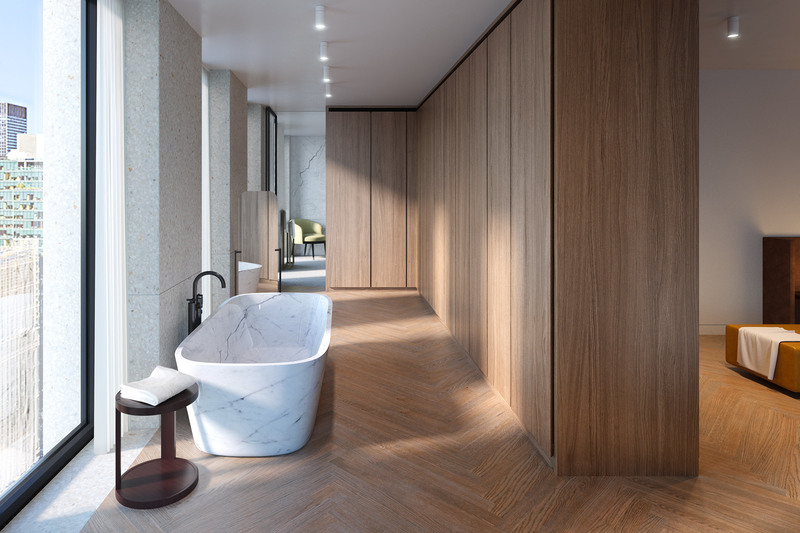 Top floor residences feature stunning views of the city skyline. Bryant Park and the city beyond as seen from the 26th floor. Beautiful park or city views can be found in every residence of The Bryant.